BURNABY — When the Simon Fraser Clan hit the road to ‘Rep the Leaf’ as the only non-U.S. school in the entire NCAA, they’re so often sought out by curious rival coaches and student-athletes. 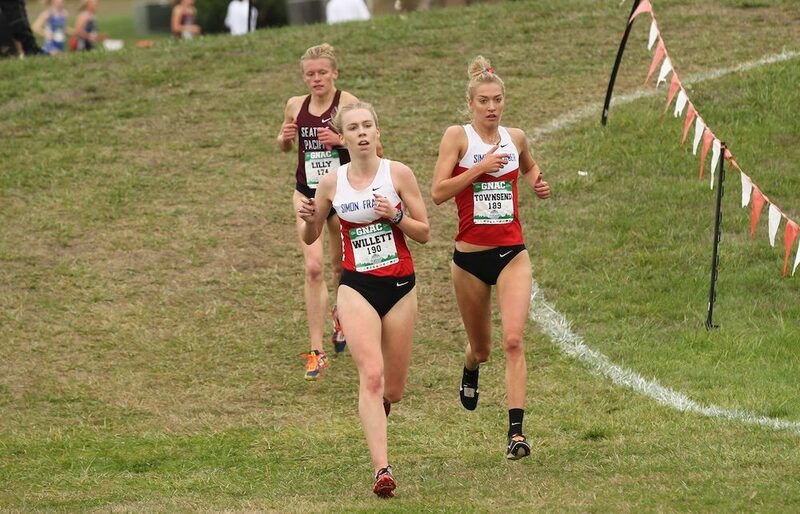 Expect no shortage of that this week, as for the first time since 2014, both the SFU’s men’s and women’s cross-country teams have qualified to compete at nationals, set to take place Saturday in Pittsburgh, PA as part of the NCAA’s Div. 2 six-sport national championship fall festival. Yet what longtime Clan cross-country head coach Brit Townsend has discovered over the years is that some of the most entertaining conversations she’s had in her travels don’t centre around her school’s unique northern geography. Instead, they come from the reaction she gets when she mentions the specialty distances of several of her female runners. Of course the Clan have their true, dyed-in-the-wool harriers, like sophomore Olivia Willett and freshman Sophia Kaiser who placed fourth and seventh respectively to lead the Clan to second place at the recent West Regional championship meet held in Billings, Montana. Yet look at Addy Townsend (13th), Chelsea Ribeiro (28th) and Sophie Dodd (33rd), the Clan’s three additional scoring runners at that essential pre-nationals meet. The Clan women, ranked 10th nationally heading into West Regionals, out-performed their mark by finishing ahead of No. 5-ranked Chico State. After watching the Clan fashion national championship team finishes of seventh in 2014, sixth in 2016 and 10th last season, Olympian and SFU alumna Jessica Smith, herself an 800m-1500m runner who also ran cross-country during her Clan days, admits there is plenty of pride in watching Townsend continue to build her unique track-to-trail tradition. “I think that as a student-athlete, you have to place complete trust and belief into the training program in order to be successful,” says Smith, who started her Clan cross-country career just in time to help SFU win its fifth straight NAIA national title in 2007, and completed it just as the team was beginning its transition to the NCAA. 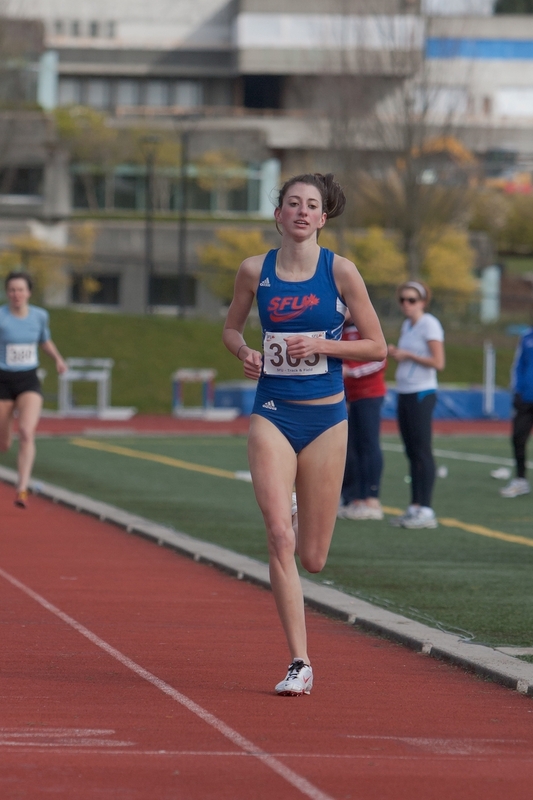 Since the turn of the century, in fact, and including that incredibly successful run of NAIA national titles (2003-07), it’s been the likes of Julia Howard, Smith, Rebecca Johnstone, Helen Crofts and Lindsey Butterworth who have helped solidify that tradition of great middle-distance track runners who have also excelled on the trails. And as Smith says, those members of the older guard have enjoyed watching how quickly the program has transitioned from being tops in the NAIA to a perennial Top 10 NCAA Div. 2 program. 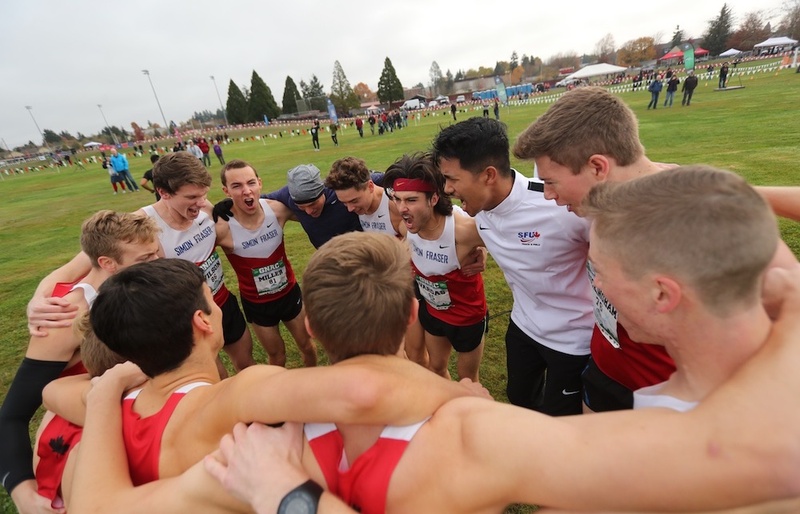 Simon Fraser’s men’s team has also turned in a tremendous 2018 campaign. Last season, an 11th-hour snub kept them out of the national championship meet. They have returned in numbers this season, however, and after vowing to not leave anything to chance, carried a No. 11 national ranking into the recent West Region meet. There, en route to second place, they finished ahead of No. 7 nationally-ranked Alaska Anchorage. Pierre-Louis Detourbe led the Clan pack with a sixth-place finish, with teammate Sean Miller seventh. The Clan’s Rowan Doherty, who had previously led the SFU men with his third-place finish at the GNAC championships, finished 12th as he battled back from a concussion suffered in 10 days before the race. Carlos Vargas was 17th and Aaron Ahl 21st to round out the rest of the scoring contingent. All of that said, Townsend knows this Saturday’s national championship race is an opportunity for the Clan program to turn in its best-ever day as an NCAA program. She has coached the Clan for over two decades, yet doesn’t hesitate when asked where this season’s men’s and women’s teams rank in her resume.